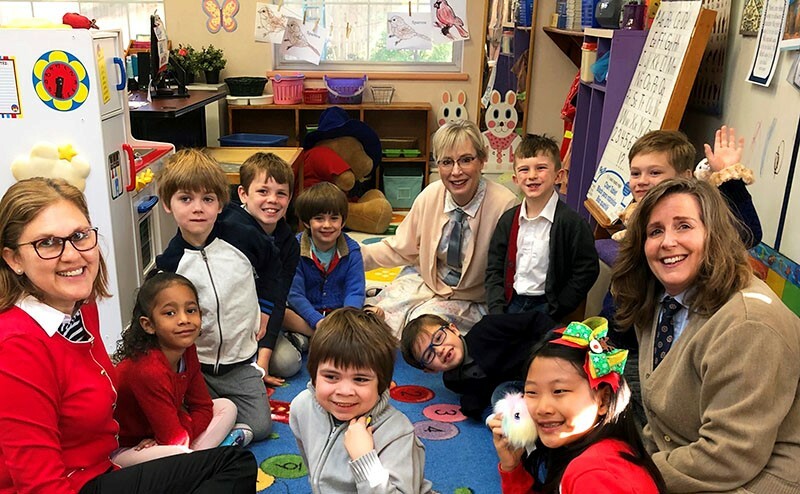 The Branch School celebrated Mr. Rogers Day on his birthday, March 20. Students and staff wore Fred Rogers’ signature cardigans to celebrate his legacy of making a positive difference in children’s lives. “You've made this day a special day, by just your being you. There's no person in the whole world like you; and I like you just the way you are.” Pictured are teachers Yadira Machado and Mary Scarbrough with Sharon Gregory, dean of students, and some mini Mr. Rogers.